By: Tracy Levine, Principal, Advantage Talent Inc.
Every other week The Renaissance Executive Transition Forum, composed of top Executives who are highly educated and highly accomplished, meet for networking and peer mentorship. In recent months the topic of how some Senior Financial Job Descriptions have changed has brought about much debate. Job Descriptions for many Finance positions are now including the following: “CPA required or preferred.” Other job openings even include experience with a “Big 4” or Large Regional Public Accounting firm required. As one recent ex-public company executive shared with the group, it doesn’t make sense that a job I have done for over 20 years, may be out of reach. The most outraged and stunned are the Senior Executives that have earned an MBA. These Executives argue their case vigorously. Several people who do not have a CPA have in the past held and done exceptional jobs as internal accountants, assistant controllers, controllers and chief financial officers. These same candidates could continue to do fabulous jobs but the world economic paradigm has shifted. The U.S. has just experienced the worst economic downturn since the Great Depression. American’s want the gatekeepers to have accountability. Regulatory Authorities, such as, the Securities and Exchange Commission, the FDIC and the IRS are busier than ever. Accountability and measurable expertise has become a key concept in today’s economy. Earning an MBA is a very significant accomplishment. However, in today’s economic reality an MBA is not always viewed as an equivalent to a CPA. A CPA in several instances is getting paid more than an MBA. If a person has a JD and a CPA or an MBA and a CPA, they have the “Willie Wonka Golden Ticket”. Getting an undergraduate accounting degree coupled with a CPA License takes as much time and work as earning an MBA. The current requirement is 5 years of undergraduate classes. After graduation, the person has to pass a 4 part exam and complete a one year apprenticeship to obtain their CPA License. And while both the MBA and the CPA continue to gain real world experience, only the CPA continues to take classes for Continuing Professional Education (CPE) credit to supplement their real world experience. 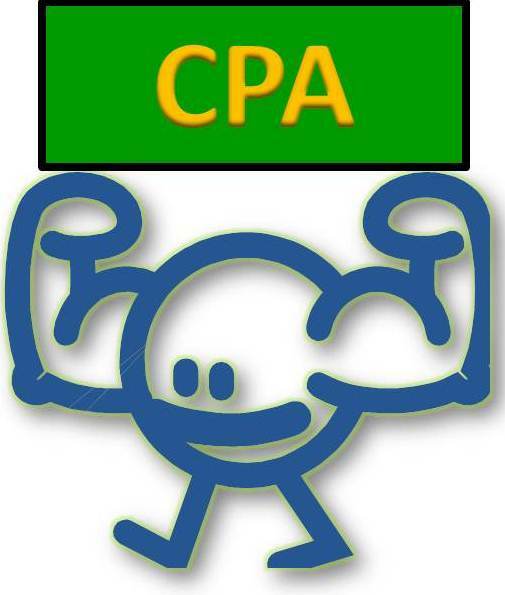 The CPA cannot keep their license active if they do not take CPE Classes. A CPA License is not just a piece of paper, as many non-CPA Senior Financial Executives argue, anymore than an MBA is just a piece of paper. Both are only earned through hard work. Just like the Audit Committee Financial Expert, Senior Financial Executives may not get to be grandfathered in as the experts when all eyes are on GAAP, IFRS and corporate accounting. Some Boards may take the position that it is of great relevance for a company to hire someone with a CPA and public accounting experience. As the old adage goes, “Nobody was ever fired for buying IBM.” Even though it has been assumed the rule only applies to the auditors, any accountant filing a report with the Securities and Exchange Commission (SEC) is required by law to be a Certified Public Accountant (CPA). This may include senior level accountants working for or on behalf of public companies that are registered with the SEC. Technically the assistant controller, the controller and the CFO are all involved in the accounting, the creating and filing of the financial reports that are submitted to the SEC. Shareholders are now quicker to sue Board Members for any financial missteps. Regulators are becoming more aggressive. The Board is not and will not be able to continue business as usual. A litigious environment coupled with aggressive regulator investigations does have an effect on the way the Board views the Finance and Accounting Executives being hired by the Corporation. Therefore, Senior Financial Executives should not find it shocking that the Board may prefer to hire candidates with a CPA and “Big 4” or large public accounting experience. The Senior Financial Executive’s are correct that their job encompasses more than accounting. However, Corporate Boards and Chief Executive Officers are very aware that the shareholders, the regulators and the general public are not in a happy or forgiving mood. Shareholders feel like they were blindsided by the massive banking and corporate failures over the past couple of years. Both Shareholders and Regulators want Senior Financial Executives to provide financials that are accurate and provide transparency into the health of a corporation. Certified Public Accounts are viewed as the experts in providing what the shareholders and regulators are currently demanding.